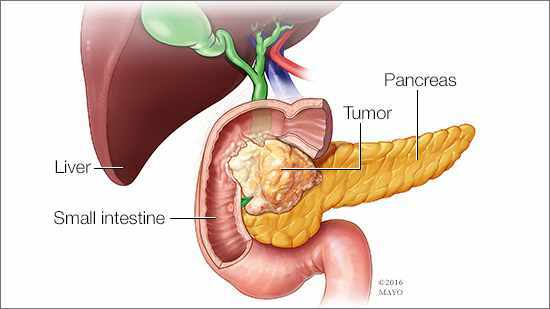 Pancreatic cancer begins in the tissues of the pancreas, an organ that secretes enzymes that aid digestion and hormones that help regulate the metabolism of sugars. Pancreatic cancer often has a poor prognosis ― even when diagnosed early. Your cancer is back, along with the shock, fear and uncertainty. Some say the second cancer diagnosis can be more distressing than the first. Use your experience to your advantage to help you cope. Endometrial cancer begins in the layer of cells that form the lining (endometrium) of the uterus. If it's discovered early, removing the uterus surgically often cures endometrial cancer. Learn the symptoms and causes of endometrial cancer. Mayo Clinic Minute: Can food decrease your risk of Alzheimer’s?